“Santa lives in Allsta” laughs Vicci. Vicci Andersson Sjöbom is a textile designer who lives and works in a little Swedish town called Allsta. 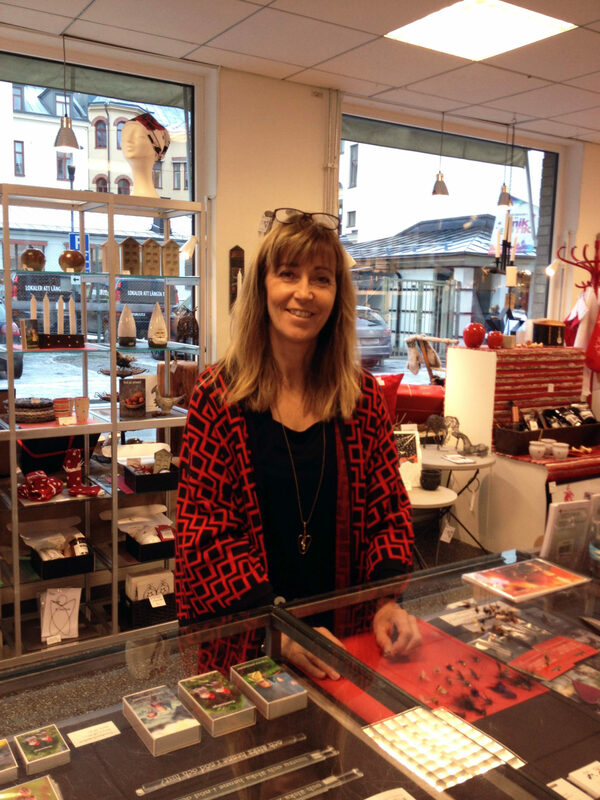 Vicci is always very busy in the run-up to Christmas and is one of the founders of Made in Medelpad – a craft and design shop in Sundsvall. 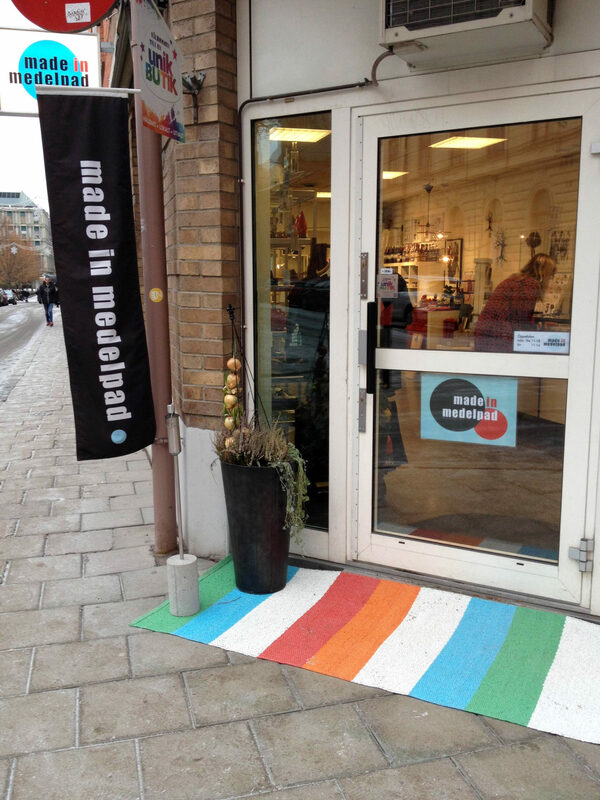 Set up as a temporary pop-up store, Made in Medelpad was established in December 2012. 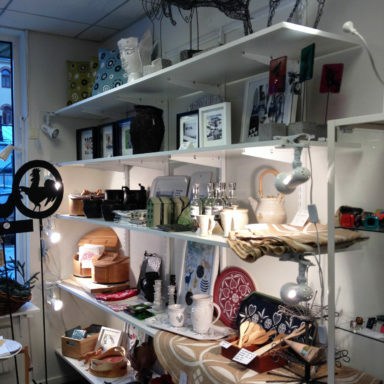 The shop should have stayed open for one month only but, in June 2015, it moved into larger premises and has grown from 6 to 8 co-owners. “We have a quite unusual organization” – Vicci says – “we are professional entrepreneurs and we all have our own companies. But we started an association and take care of the shop together. Everybody contributes to it. I really feel like I am surrounded by the right people”. 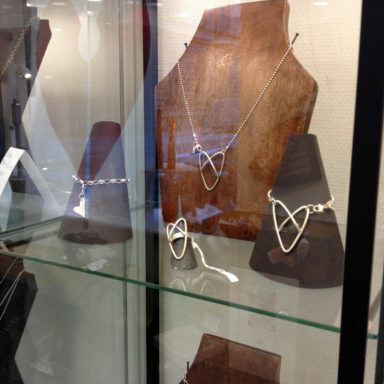 Made in Medelpad sells products from the region, but is more than a retailer; it promotes creative businesses, increases awareness of local craft and design, and encourages people to spend on high quality products made by local, small-sized enterprises. 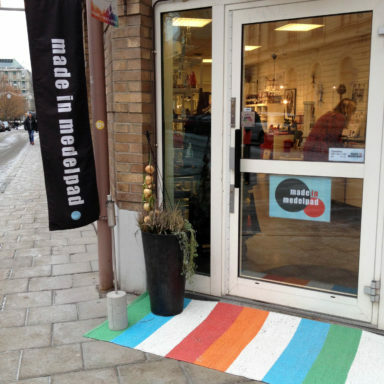 Also Katarina Lövgren works at Made in Medelpad. Katarina is a photographer who sells framed pictures amongst other things. 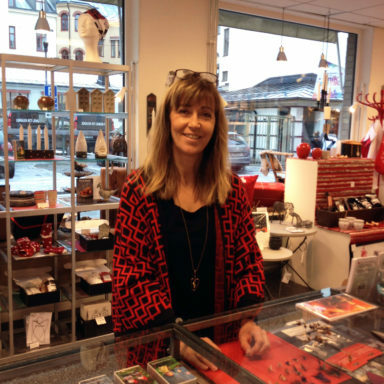 She has been involved in Made in Medelpad for the past two years, as she really likes the concept behind the shop: “You become busy if you have a shop on your own and you don’t have time to create new products. But here we all help each other”. 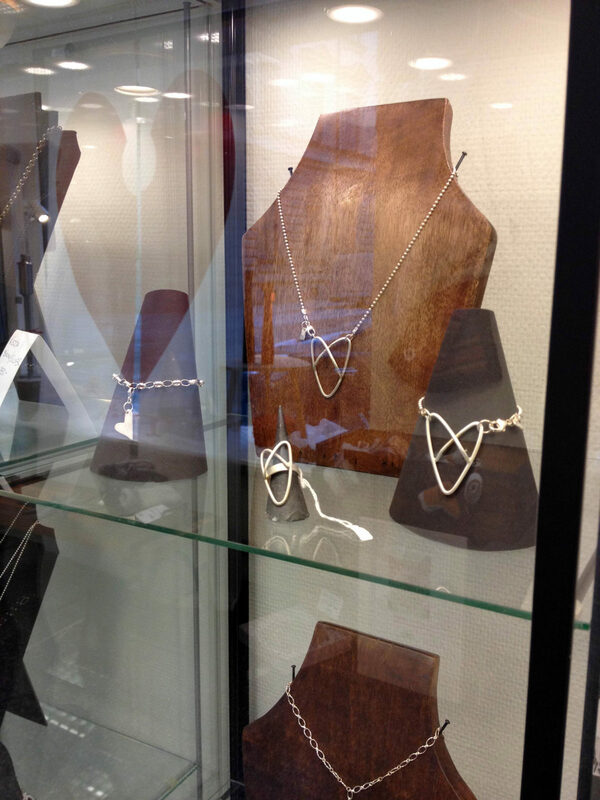 The 8 co-owners, as well as other makers, sell their work at Made in Medelpad. 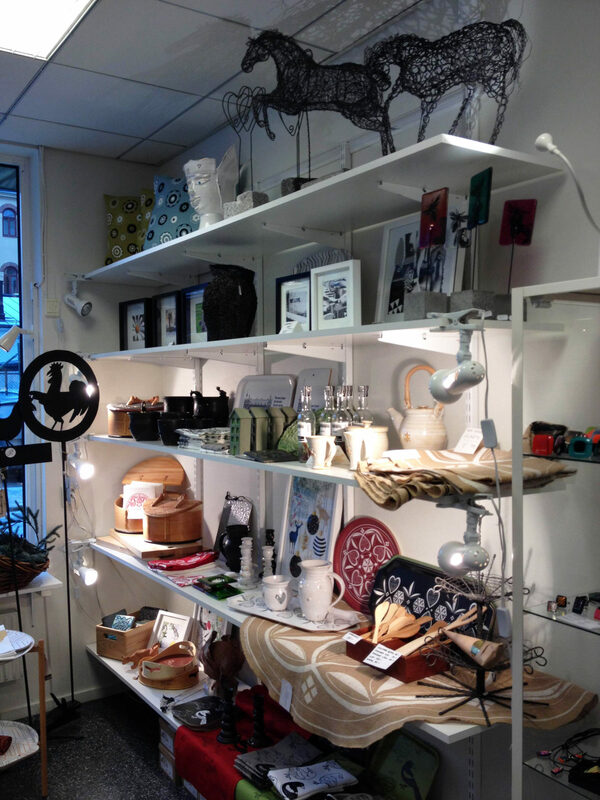 Currently, the shop stocks products by 25-30 local craftspeople and designers. There is also space for temporary exhibitions. The co-owners are getting ready for Christmas. The shop is beautifully decorated with Christmas displays and customers can enjoy an award-winning mulled wine that tastes like blueberry. This is produced by local brand Mitt Skafferi.